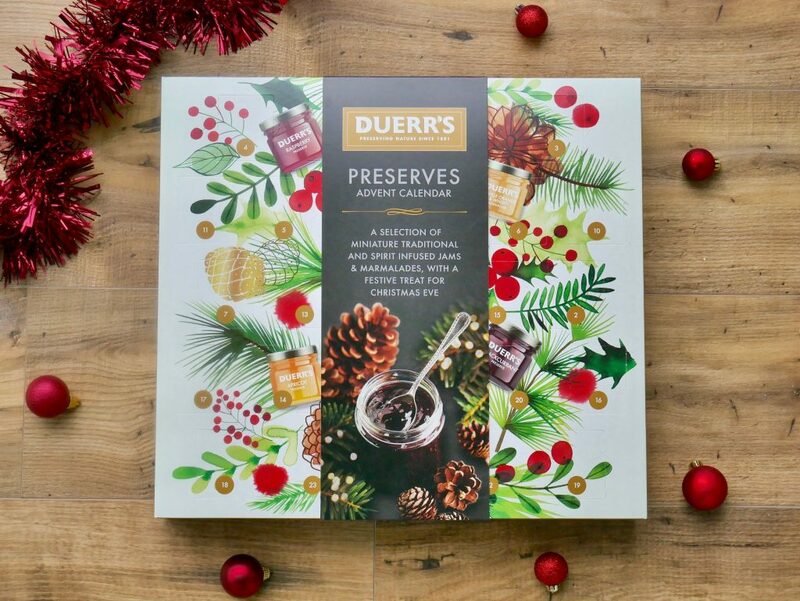 Duerr’s, the UK’s oldest family-owned preserves producers, is set to make every morning a little more merry this December with the launch of their festive preserves advent calendar! Behind each door, jam-lovers will find a selection of miniature traditional and spirit infused jams and marmalades, with the main door concealing an extra big festive treat for Christmas Eve. Gin, rum, vodka, amaretto, kirsch & malt whisky are all paired with everyone’s favourite fruits – perfect for those who have been ‘good’ all year. 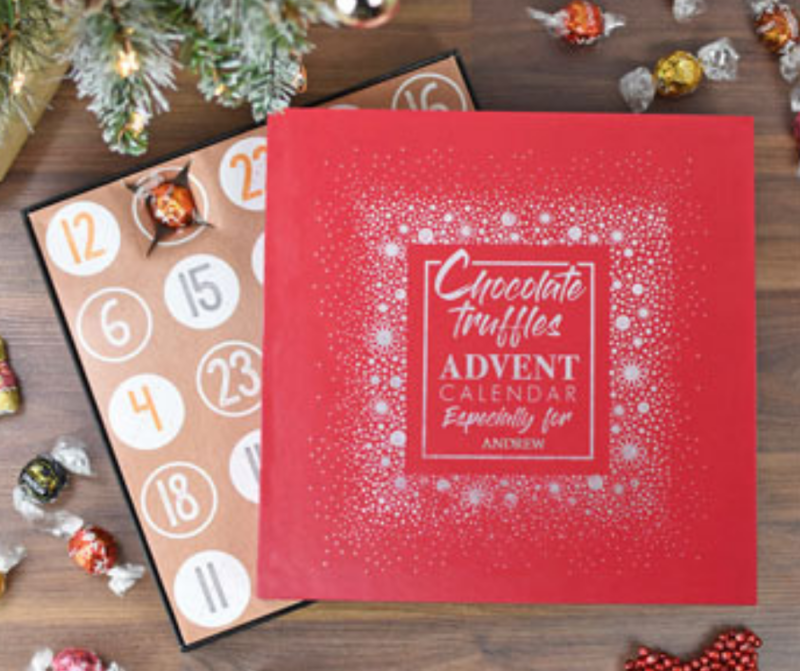 What better way to start December than with this premium personalised Lindt truffles advent calendar! If you know someone who deserves a special advent this year and also happens to have a sweet tooth then this is a must. Behind each of the 24 windows hides a delicious Lindt chocolate truffle in various flavours; they’ve even included a Lindt chocolate teddy bear behind number 25 as an extra special festive surprise! The premium box is gold embossed with the recipient’s name surrounded by a glittering seasonal design for that personal touch. 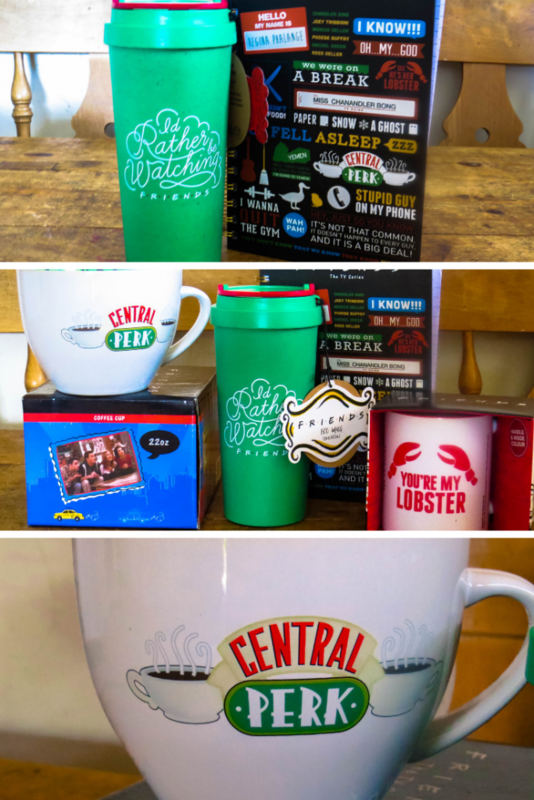 Treat someone special this Advent, or why not treat yourself! Either way this will be one heck of a countdown and the one I’ve chosen for myself this year! Rather than containing chocolate (which, let’s face it, we get quite enough of at this time of year anyway!) each door contains something to nourish your soul, in the shape of a bath-time treat. 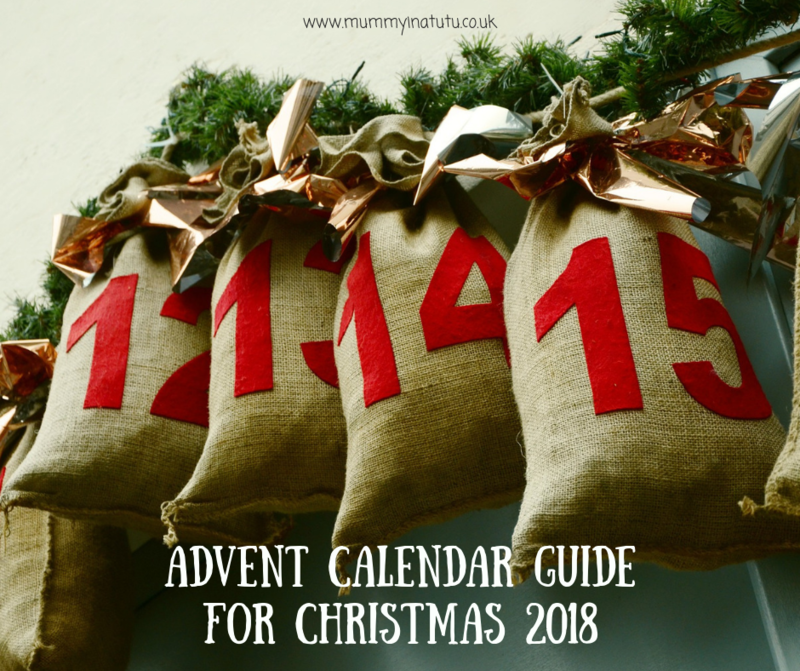 One whiff of the front of this calendar will tell you you’ve made the right choice as you catch a hint of the many gorgeously fragranced products hidden behind the 24 doors. You’ll love your bit of daily luxury as you discover a different soap or bath bomb behind the cardboard doors. Each soap or bath blaster contains a different selection of ingredients (there are no doubles!) and will get you feeling soapful or fizzy about the festive season. Alyssa adores bath bombs and now won’t have a bath without one so this will sort us out for the whole of December… and I might have to use some too! You can buy The Bomb Advent Calendar here. Open up a door every day from the Cadbury Heroes Advent Calendar in the lead up to the big day itself and reveal miniature versions of some of your favourite Cadbury bars! This is a wonderful way to ensure you are getting a taste of some of the delicious flavours from Cadbury. These include Cadbury Dairy Milk, Cadbury Dairy Milk Caramel, Cadbury Wispa, Cadbury Éclair, Cadbury Fudge, Cadbury Creme Egg Twisted and Cadbury Twirl. We always get one of the tins of sweets but I never get all the ones that I want and this is one way to make sure I will! 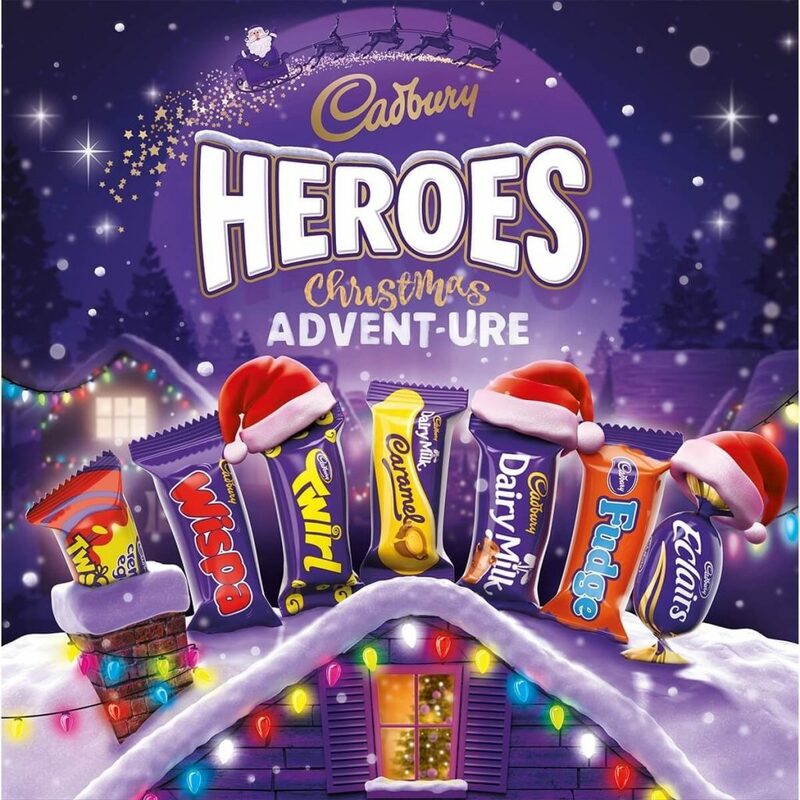 You can buy a Cadbury Heroes Advent Calendar here. 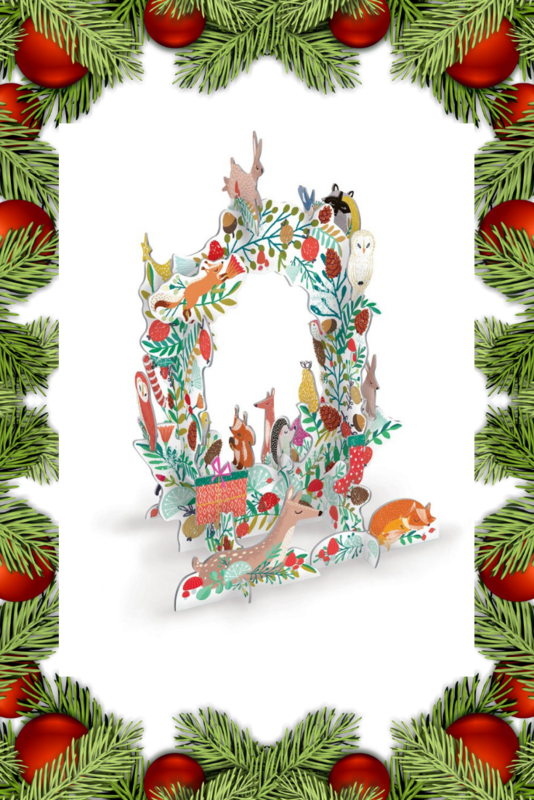 Make a spectacular 3D advent calendar tree with the Frosty Forest Wreath Pop & Slot Advent Calendar – the perfect enchanting gift for children in the run up to Christmas. Find and pop out the Frosty Forest Wreath part, match the number, and decorate the branches until Christmas comes. What I love is that this could be kept to use year upon year and because there is no risk of her eating it, this advent could actually be kept in Alyssa’s bedroom too. 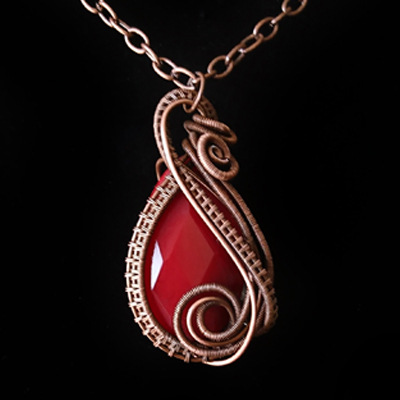 The design is just exquisite and would make a gorgeous alternative for adult or child. 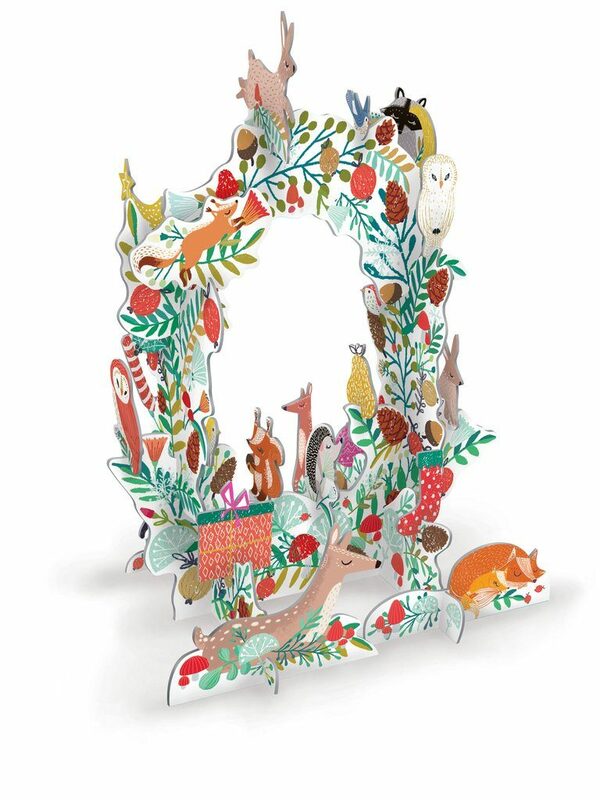 You can buy a Pop & Slot Advent Calendar here. Start your Christmas countdown with HARIBO and 24 windows that are hiding a merry mix of little treats. 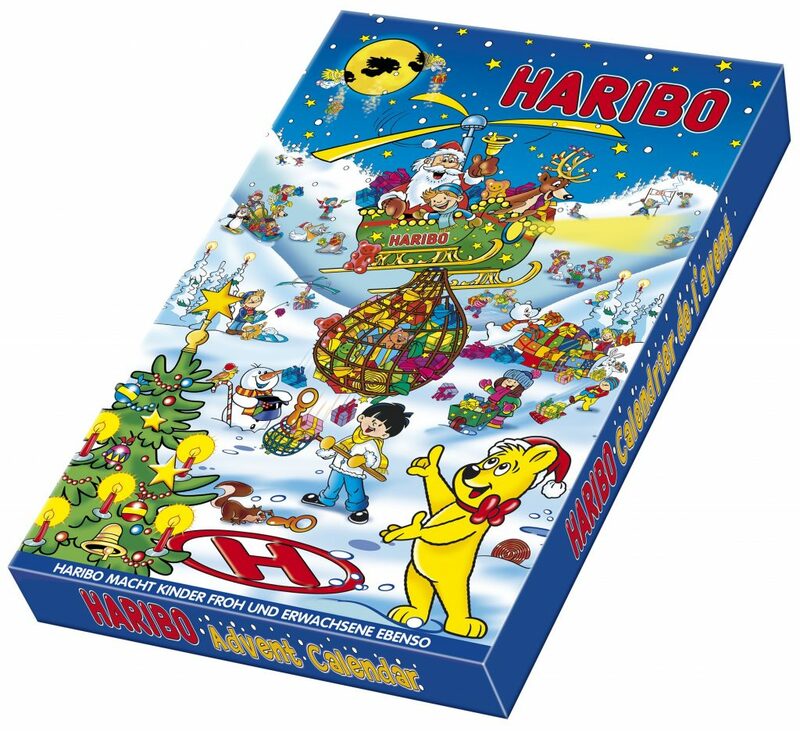 Themed, fun and perfect for those looking for an alternative to the traditional chocolate calendar, this tasty advent brings together HARIBO favourites from across the world with Tropifrutti, Goldbears and MAOAM all featured. Making sure that the festive celebrations start early, you’ll be treated to seasonal mini bags and themed jellies – look out for Santa’s boot, a red hatted reindeer and gold star topped Christmas tree! Unfortunately, due to the gelatine content, Alyssa and I cannot eat this one as we are vegetarians but it doesn’t matter because it is PERFECT for Bear who isn’t and is a huge Haribo fan! Made by Kinnerton, this calendar contains 25 milk chocolate pieces with chunkier chocolate for the final 5 days. As with all Kinnerton products the chocolate is made in the UK and is nut safe, contains no artificial flavours and is foiled for freshness, quality and taste. It’s the perfect Advent calendar for Pokémon fans of all ages! We have several Pokemon fans in the family, both child and adult, so I think there will be a tussle over this one! 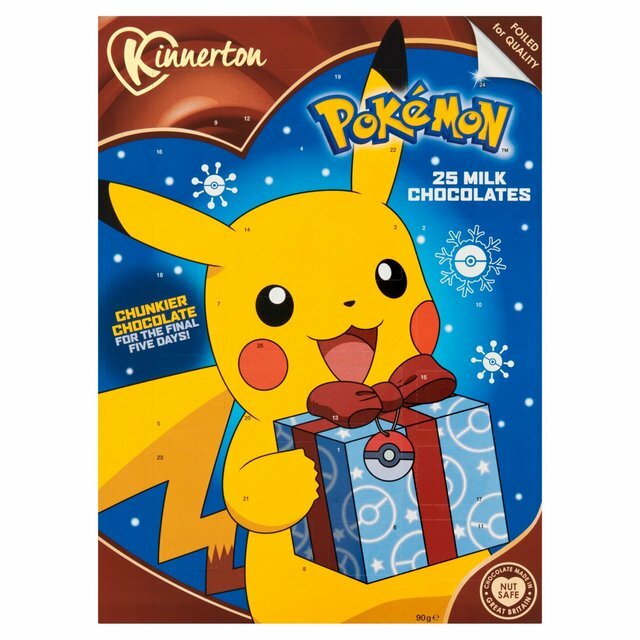 You can buy the Pokemon Advent Calendar here. This fun Personalised Retro Sweets Advent Calendar has 24 classic old-fashioned sweeties including Fruit Salads, Black Jacks, Drumstick Lollies, Refresher Chews, Love Hearts and Tattoo Bubblegum. Let the taste of Parma Violets and Traffic Light Lollies take you on a nostalgic trip back to your childhood. An advent calendar makes a great gift for the festive season and this one can also be personalised with a name up to 13 characters long. 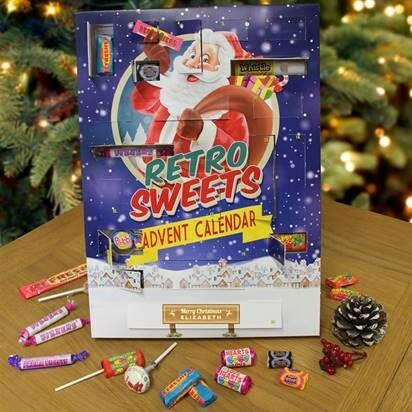 The calendar has a seasonal image of Santa on the front and behind each of the numbered windows is a beloved retro sweet just waiting to be discovered and enjoyed. I used to hate gin and tonic but somehow as I have aged my taste buds have come to realise what a spectacular drink it is. 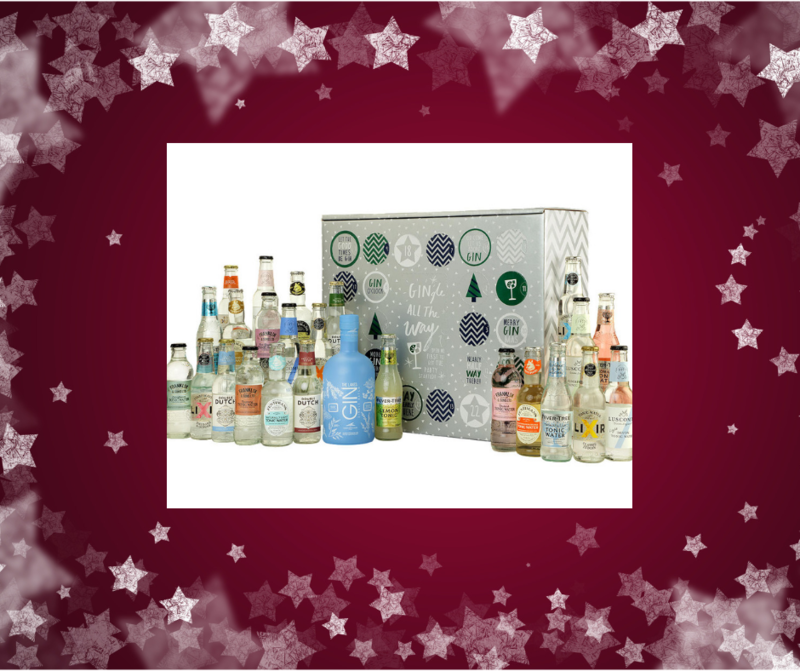 In fact it is so good that I could drink one every day and with John Lewis’s Gin & Tonic Advent Calendar I can do just that. Each day you get a door to open and some gin and tonic to enjoy. It’s a little pricey but personally I think I am worth it. It’s us adults that get all the stress of preparation in the run up to Christmas so this little treat will help with that.